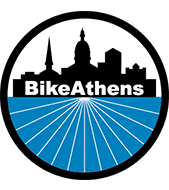 Georgia Bikes has been fortunate over the years to have dedicated Board Members who give their time and expertise to help manage the organization as well as help it build and grow. We have a slew of new Board Members for 2018 from all across Georgia who are involved in bicycles in a variety of ways, from education and events to policy and planning. We couldn't be more proud of this great collection of individuals who will help us continute to move Georgia and Georgia Bikes in the right direction.